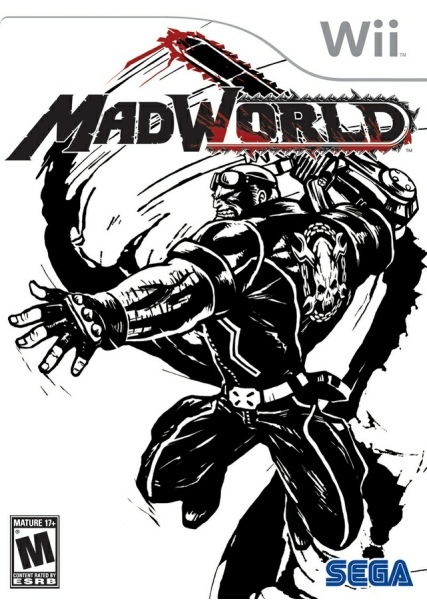 MadWorld (マッドワールド) by Masaki Yamanaka. Japanese artwork. First published by Spike Co. Ltd globally in 2009 for the Wii market. Mario Strikers Charged (マリオストライカーズ　チャージド) by Masanori Sato. Japanese artwork. Published by Nintendo globally in 2007 for the Wii market. Marvel vs. Capcom 2: New Age of Heroes (マーヴル VS. カプコン 2 ニュー エイジ オブ ヒーローズ) by Bengus. Japanese artwork. 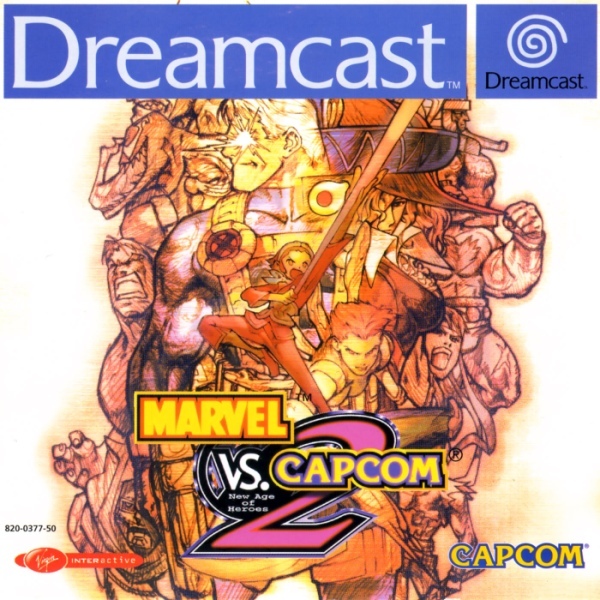 Published by Capcom in 2000 for the European and Japanese Dreamcast markets. 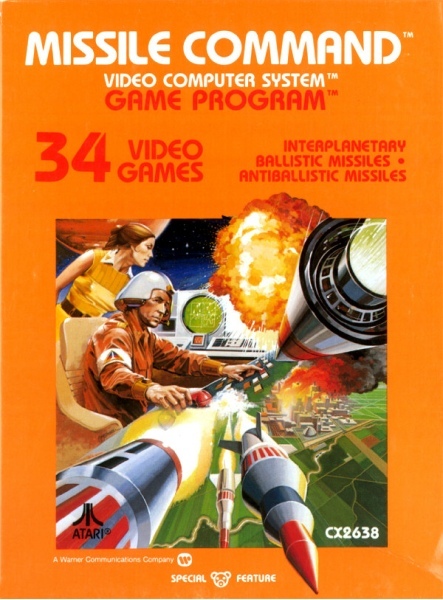 Missile Command by George opperman. North American artwork. Published by Atari in 1981 for NA 2600 market and later in 1983 for the JPN 2800 market. Atari 2600 ver. pictured. Also available on: Atari 2800. Might and Magic: Darkside of Xeen by Michael J. Winterbauer. North American artwork. Published by New world Computing Inc. in 1993 for the European and North American DOS markets. Mission Asteroid by Don Dixon. North American artwork. Published by Siera On-line in 1980 for the European and North American markets. Apple II ver. pictured. Also availble on: C64. >Mission Asteroid would numerically start Sierra On-Line’s Hi-Res Adventure series offered as the introductory game #0. 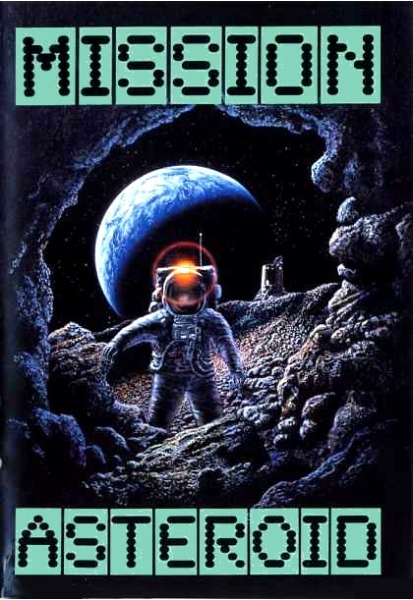 Its box art by space artist Don Dixon would perfectly fit the gravity and loneliness of the game’s mission, and is a standout example of an established artist’s work being used as cover art in early home computing. Commissioned by Sierra, the artist has said the artwork was a quick job taking him a day to complete. Created using oil paints, as much of Don’s early work was, its quality would stand tall above the other Hi-Res Adventure box arts, with no small part to the artist’s exceptional detail for lunar geography. Don would follow-up with further box arts for Sierra before leaving the industry in the mid-80’s. Mission on Thunderhead by Jim Talbot. North American artwork. Published by The Avalon Hill Game Company in 1985 for the North American market. C64 ver. pictured. Also available on: Apple II, Atari 8-bit. Metal Gear Ac!d² (メタルギア アシッド2) by Tsubasa Masao. Japanese artwork. Published by Konami in 2006 for the European PSP market. Metal Gear Solid (メタルギアソリッド) by Yoji Shinkawa. Japanese artwork. 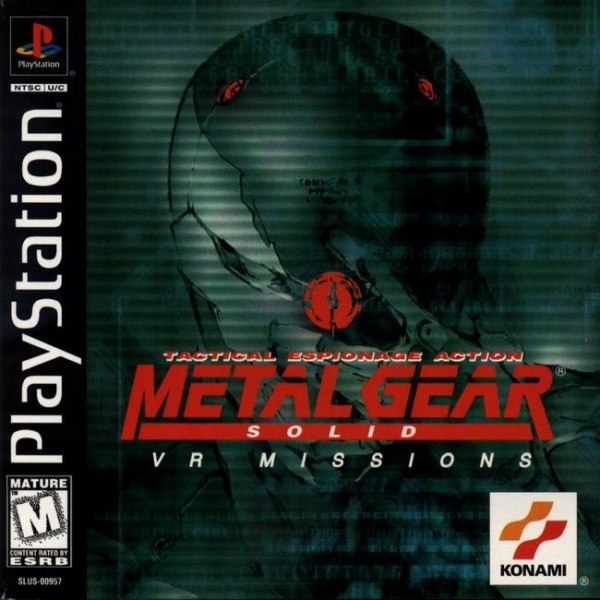 Published by Konami in 1999 for the European PS1 market. 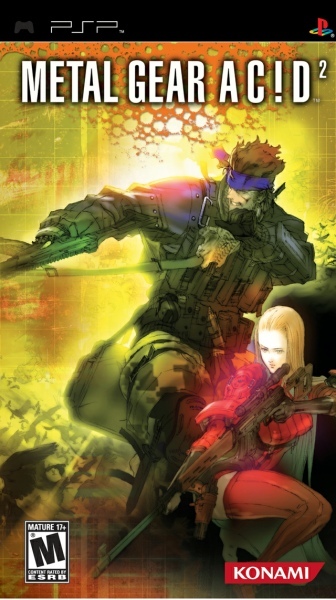 >This box art would be the first in the Metal Gear series to launch Yoji distinctive style of character art that would proliferate box arts up until Metal Gear Solid 4: Guns of the Patriots (2008). The artwork was likely designed using a Pentel Brush Pen and exibits the artist’s freeflowing style of brush work. The character art likeness was inspired by actor Christopher Walken. Japan and the US would instead get a plain cover and title - a rather missed opportunity. Metal Gear Solid V: The Definitive Experience by Pablo Uchida. Japanese artwork. 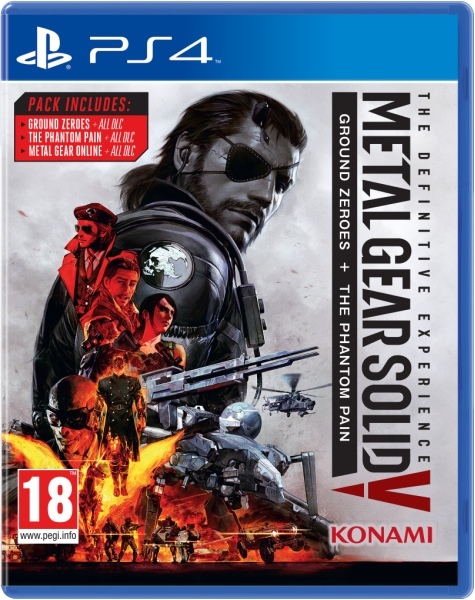 Published by Konami in 2016 for the European and North American markets. PS4 ver. pictured. Also availble on: Xbox One. >Paying homage to the classic movie poster montage (popularised by the Blaxploitation subgenre of the 1970’s and still used today for the likes of the Star Wars series and the Marvel cinematic universe), Pablo’s cover oozes explosive beauty, through character heavy detailing and striking colour. Cool grey tones colour protagonist Snake as he merges into Metal Gear Sahelanthropus, a subtle reinforcement of the symbiotic relationship between Snake’s and Gears. Only to be jarringly cut by the game’s roster intent on injecting vivid colour and chaos. The artwork was originally designed to promote the Japanese release of The Phantom Pain in 2015, where its deliberate movie poster quality stood out all the more and pronounced the horse’s symbolic flaming V to fuller effect. Japan’s box art version is worth noting. Taking Takeya Inguchi’s original Metal Gear Solid V: The Phantom Pain cover, it near destroys all colour and fills Snake’s head with characters as if to illustrate the burdening weight his mind carries. Metal Slug 2nd Mission by Nao Q (Naohisa Yamaguchi). Japanese artwork. 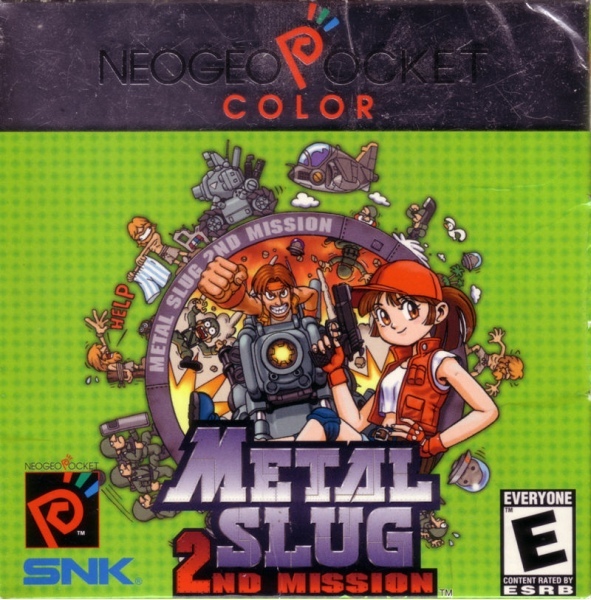 Published by SNK in 2000 for the Japanese and North American Neo Geo Pocket Color markets. 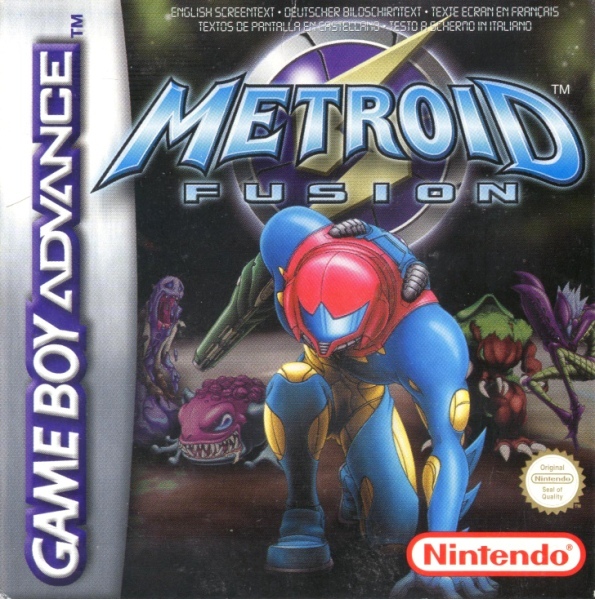 Metroid Fusion (メトロイドフュージョン) by Shinya Sano. Japanese artwork. Published by Nintendo globally in 2002 for the Game Boy Advance market. Might and Magic III by Akihiro Yamada. Japanese artwork. Published by Hudson Soft in 1993 for the Japanese PC Engine CD market. Might and Magic VIII by Larry Elmore. North American artwork. Published by The 3DO Company globally in 2000 for the Windows market. Might and Magic Book II by Akira Komeda. Japanese artwork. Published by Elite Systems Ltd. in 1993 for the Japanese Super Famicom market. Might and Magic VI by Larry Elmore. North American artwork. Published by The 3DO market in 1998 for the European and North American Windows markets. Might and Magic by Akihiro Yamada. Japanese artwork. Published by NEC Avenue Ltd. in 1992 for the Japanese PC Engine CD market. 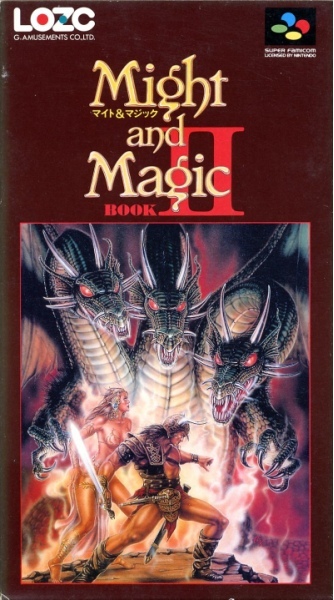 Might and Magic Book One by Jim Krogel. North American artwork. Published by New World Computing inc. in 1986 for the Japanese and North American markets. C64 ver. pictured. Also availble on: Apple II, DOS, Macintosh, MSX 2, PC-88, PC-98, Sharp X-1, X68000. 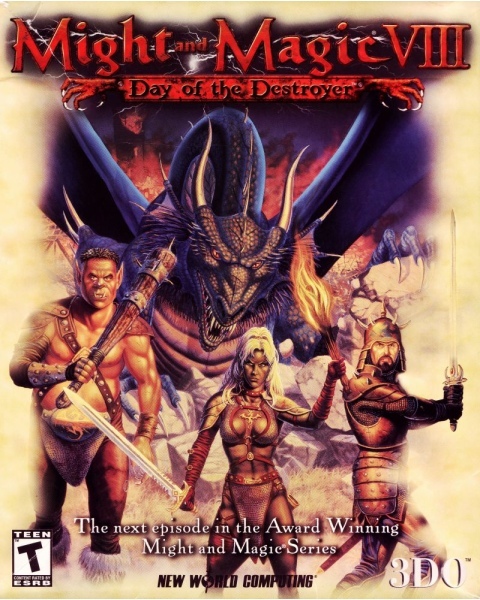 >Debut box art for the Might and Magic series. 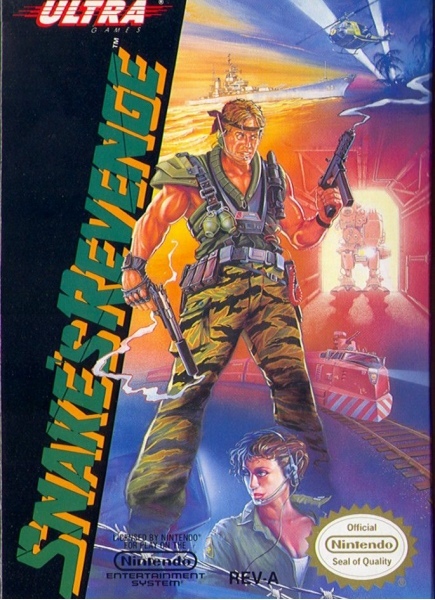 The box art would see a international release on the Japanese home computers, but would miss out Europe’s hardware. The Tolkein inspired map design would also be used globally for the Book II follow up, and Book III in Japan only. Book II was again designed by Krogel. North American artwork. Published by Imagic in 1982 for the European and North American Intellivision markets. Might and Magic VII: For Blood and Honor by Boris Vallejo. Peruvian/ North American artwork. Published by 3DO Company globally in 1999 for the Windows market. 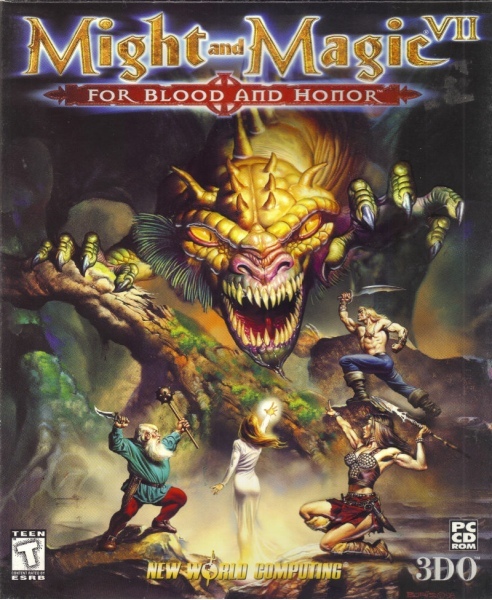 >Originally titled ‘Myth and Magic 2’ and designed in 1998. 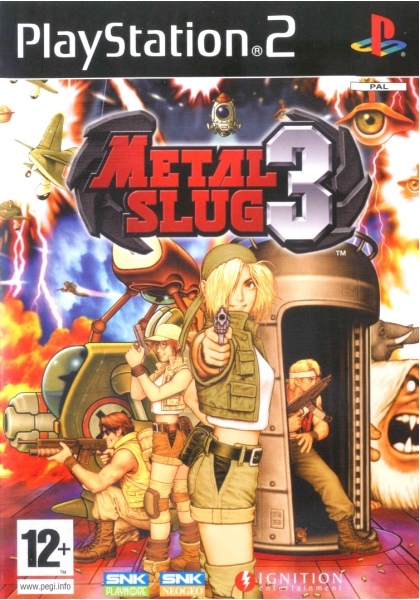 Metal Slug 3 (メタルスラッグ３) by Shinkiro. Japanese artwork. First published by SNK in 2000. For the global market. PS2 ver. pictured. Also available on: Neo Geo, Xbox. >The artists final cover for SNK before the company went under. Metal Gear Solid (Metal Gear: Ghost Babel) by Yoji Shinkawa. Japanese artwork. Published by Konami in 2000 for the European and Japanese Game Boy Color markets. >Character designer Yoji would take a more anime/ cartooned approch to the Game Boy Color’s ‘Solid’ game, arguably targetng Nintendo’s younger gamers (as was often the case when more mature games received Game Boy versions). North America would receive a more traditional take on Yoji’s Solid Snake. British artwork. 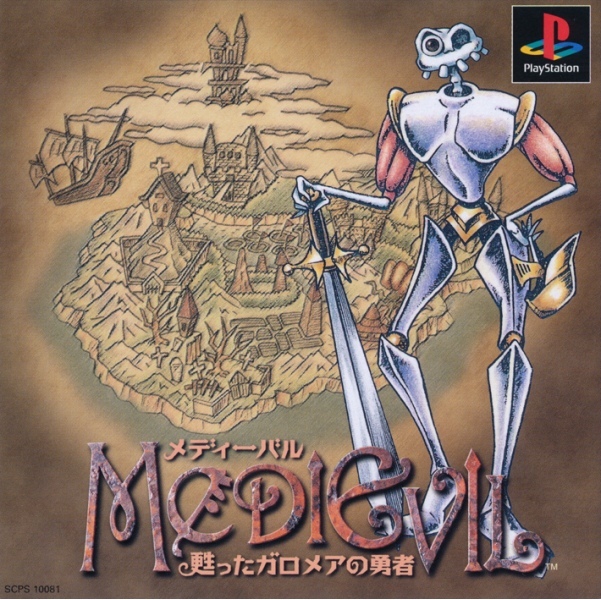 Published by Sony in 1999 for the Japanese PS1 market. >This Japanese exclusive cover would do away with Jason’s CG artwork - as seen on the western box arts - and instead opt for what looks like one of the artist’s many original concept designs. >Pictures from the top - JPN box art and concept art example. English artwork. Published by Psygnosis in 1988 for the European and North American markets. 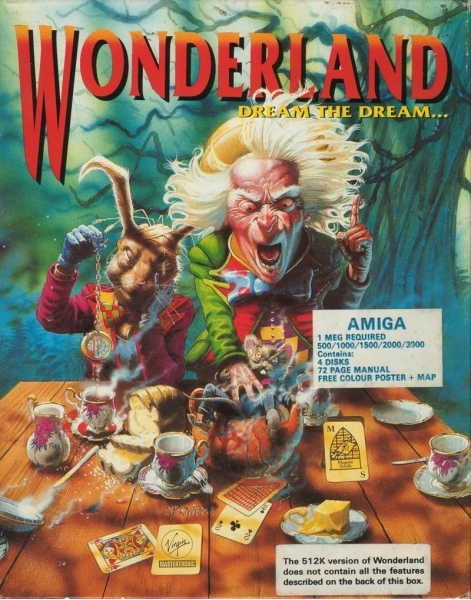 Amiga ver. pictured. Also available on: Atari ST, C64, DOS. First published by Konami in 1987 for the global market. MSX ver. pictured. Also availble on: C64, DOS, Famicom, Game Cube, NES. >Debut box art for the Metal Gear series. 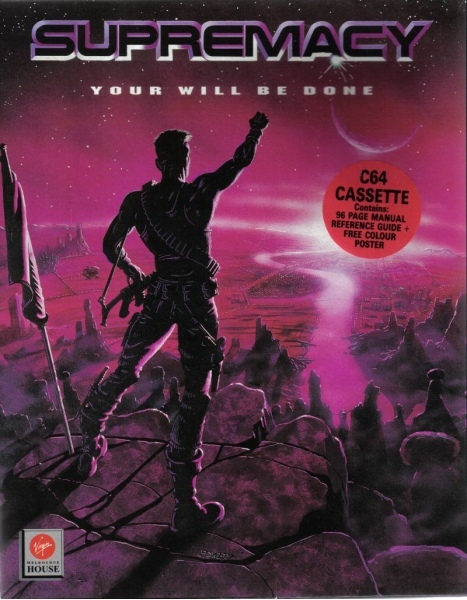 The cover’s character art would be modelled on a Carl Reece scene from the movie, The Terminator that adds an obvious western appeal and probably played a part in the games success in the West. 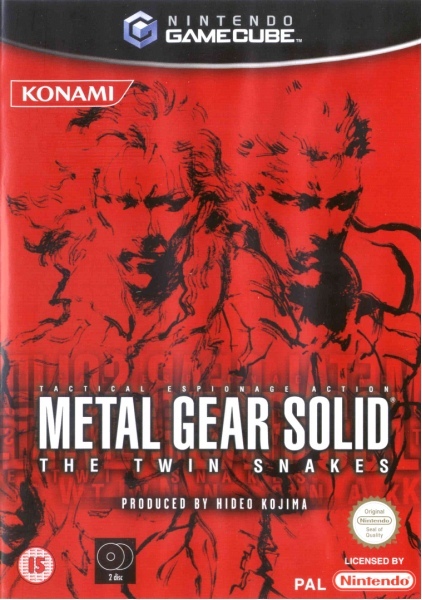 The box art would get a Japanese exclusive re-release when it was included in the Gamecube’s Metal Gear: Twin Snakes console pack. English artwork. Published by Absract Concepts in 1988 for the the European market. ZX Spectrum ver. pictured. Also available on: Amiga, Amstrad CPC, Atari ST, C64, DOS. >The artist’s first box art would be commissioned by the games creator Fergus Macnell who at the time was a fan of Mark’s art for the rock group Marillion. 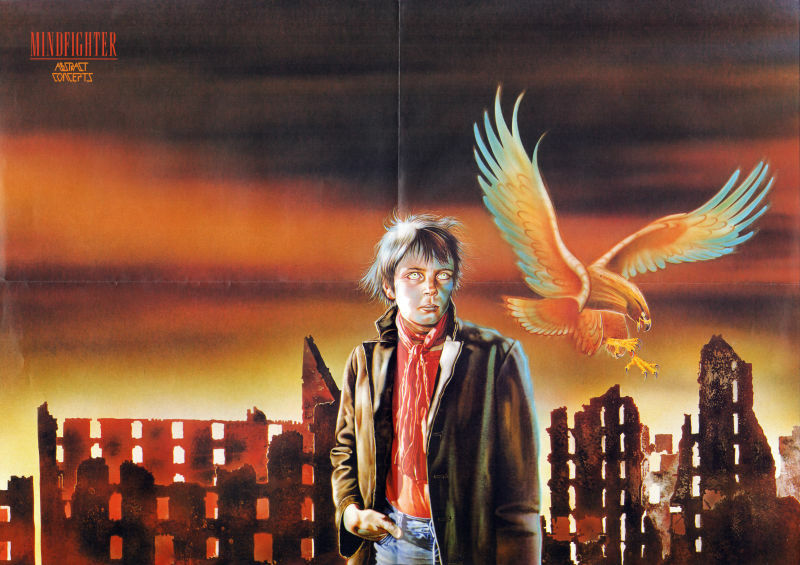 Mark recalls, “Fergus wanted a boy - much like the boy I had drawn for Marillion’s Misplaced Childhood (1985 album)...who existed in some dystopian future...he had the ability to shape-shift into other creatures - and I used an Eagle. The artwork was created using airbrushed acrylic ink. >Pictures from the top - original box art and pack-in poster. English artwork. First published by Quicksilva in 1983 for the European market. ZX Spectrum ver. pictured. Also available on: BBC Micro, Compaters Lynx, Dragon 32, Electron, Oric. >This early Quicksilva cover would be part designed using vector graphics (an expensive process for ‘83) and then the line-output airbrushed over. Marc Hudgins. North America box artist. Kings Quest VII | Sierra On-Line | 1994. Marc William Ericksen. North American box artist from 1982-2003. 1503 A.D.: The New World | EA | 2003. After Burner | Tengen | 1989. Aeroblitz Supersonic | Koei | 1994 | NA ver. Atomic Runner | Data East | 1992 | NA ver. Blasteroids | Tengen | 1989. Bermuda Triangle | Data Age | 1982. B.O.B | EA | 1993 | NA ver. Bonk 3: Bonk’s Big Adventure | Turbo Technologies | 1993. Chelnov: Atomic Runner | Data East | 1992 | NA ver. Chop ‘n Drop | Activision | 1988 | NA ver. Choplifter! | Broderbund Software | 1982. Crash Dive | Fox Video Games | 1983. Das Boot: German U-Boat Simulation | Three-Sixty Pacific | 1990. David’s Midnight Magic | Broderbund | 1982. Deadly Skies | Tronix Publishing | 1983. Drol | Broderbund Software | 1983. Evasive Action | Software Toolworks | 1993. First Over Germany | SSI | 1988. Full Tilt! Pinball | Maxis Software | 1996. G-Loc Air Battle | Sega | 1991 | Mega Drive/ Genesis ver. Galactic Blitz | Tronix Publishing | 1982. Galaga | Atari | 1987. Gold Fever | Tronix Publishing | 1983. Gridrunner | Human Engineered Software | 1982. Guerillia War | SNK Corp | 1989 | NA ver. Harley’s Humongous Adventure | Hi-Tech Expressions | 1993. Heavy Barrel | Data East | 1989 | NA ver. Herzog Zwei | Sega | 1990. Hockey | Atari | 1992. Hydra | Atari | 1992. Ikari III: The Rescue | SNK Corp of America | 1990. Incredible Crash test Dummies, The | LJN | 1993 | Genesis ver. James Pond 2: Codename Robocod | EA | 1991 | Mega Drive/ Genesis ver. Juice! | Tronix Publishing | 1983. Kid Grid | Tronix Publishing | 1982. Laser Force | Britannica Software | 1989. Lock n’ Chase | Sun Electronics Corp | 1990. LucasArts Air Combat Classics | LucasArts | 1994. Mechanized Attack | SNK Corp of America | 1990. Mega Man 2 | Capcom USA | 1989 | NA ver. Megafortress | Three-Sixty Pacific | 1991. Minnesota Fats’ Pool Challenge | Hesware | 1984. Ocean Ranger | Activision | 1988. Operation Crusader | The Avalon Hill Game Company | 1994. Operation Neptune | The Learning Co | 1991. Operation Whirlwind | Broderbund | 1984. Overrun! | SSI | 1989. Pole Position 2 | Atari | 1987. P.O.W. : Prisoners of War | SNK Corp of America | 1989. Racing Aces | Sega | 1993. Red Lightning | SSI | 1989. Scorpion | Tronix Publishing | 1983. Seafox | Broderbund Software | 1982. Shark Trap | Broderbund Software | 1982. Sidewinder | Tronix Publishing | 1982. Space Harrier | Sega | 1991 | EU/ NA ver | Game Gear ver. Spare Change | Broderbund | 1983. Spellicopter | DesignWare | 1983. Star Blazer | Broderbund Software | 1982. Steel Talons | Atari | 1992 | Lynx ver. Stellar Shuttle | Broderbund | 1982. Strider | Capcom USA | 1989 | NES ver. Strike Gunner S.T.G | NTV International Corp | 1992. Suicide Strike | Tronix Publishing | 1983. Super Baseball 2020 | EA | 1994. Swarm! | Tronix Publishing | 1982. Tempo Jr. | Sega | 1995 | EU/ NA ver. Tetris | Tengen | 1988. Thunder Force 2 | Sega | 1989. Track Attack! | Broderbund Software | 1982. Turtle Toyland Jr | HesWare | 1983. Typhoon of Steel | SSI | 1988. V for Victory: Battleset 1 - D-day Utah Beach – 1944 | Three-Sixty Pacific | 1991. V for Victory: Gold-Juno Sword | Three-Sixty Pacific | 1993. V for Victory: Market Garden | Three-Sixty Pacific | 1993. V for Victory: Velikiye Luki | Three-Sixty Pacific | 1992. Vigilante | Data East | 1989. Vindicators | Tengen | 1988. World at War: Volume II – Stalingrad | The Avalon Hill Game Company | 1995. Xybots | Atari | 1991. Mark Bagley. North American box artist in 1995. Amazing Spider-Man: Lethal Foes | Epock Co. | 1995. Mark Stutzman. North American box artist from 1990-1992. Challenge of the Five Realms | Microplay Software | 1992. Punisher, The | Microprose Software | 1990. Space 1889 | Paragon Software | 1990. Mark Wilkinson. English box artist from 1988-1989. 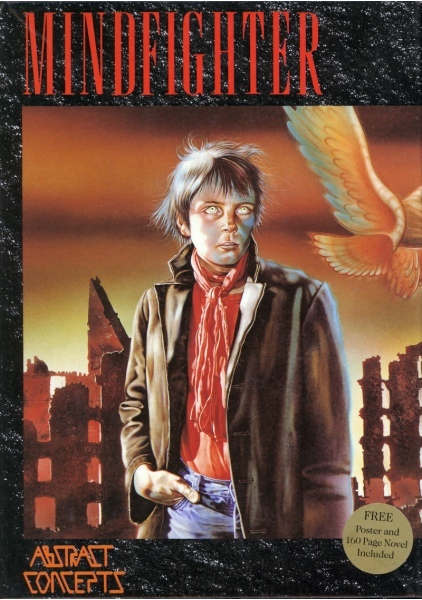 Mindfighter | Abstract Concepts | 1988. Parisian Knights | Abstract Concepts | 1989. Troll | 1988 | Kixx. Masaki Yamanaka. Japanese box artist in 2009. Madworld | Spike Co, Ltd. | 2009.  Masaki Okumura. Japanese box artist in 1988. Xanadu: Dragon Slayer II | Nihon Falcom | 1988. Masanori Sato. Japanese box artist. Doshin the Giant | Nintendo | 2002 | JPN ver. Mario & Luigi: Bowser’s Inside Story | Nintendo | 2009. Mario & Luigi: Partners in Time | Nintendo | 2005. Mario & Luigi: Superstar Saga | Nintendo | 2003. 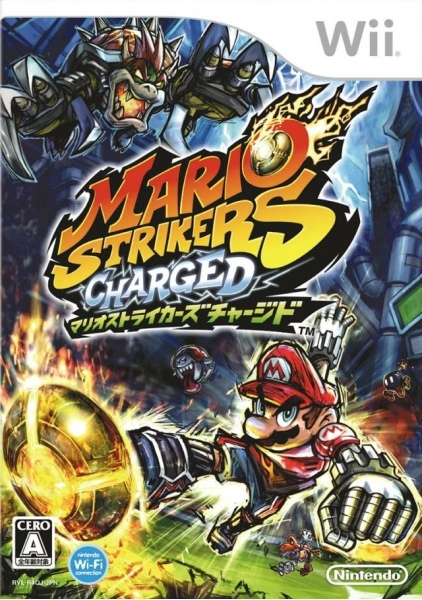 Mario Strikers Charged | Nintendo | 2007. Masaki Hirooka. Japanese box artist in 2008. Castlevania: Order of the Ecclesia | Konami | 2008 | EU/ JPN ver. Castlevania: Order of the Ecclesia | Konami | 2008 | NA ver. Suikoden Tierkreis | Konami | 2008 | EU/ JPN ver. Suikoden Tierkreis | Konami | 2008 | NA ver. Formed in 1984 by Martin Alper, Frank Herman, Terry Medway and Alan Sharam, Mastertronic Ltd would offer the UK its first budget video game line, the 199 range. The line’s early games could be of varying quality but their box arts were arguably of a consistent high standard for the period. Mastertronic Ltd would outsource its promo duties to fledgling London design studio Words & Pictures Ltd - an unusual move for the time. 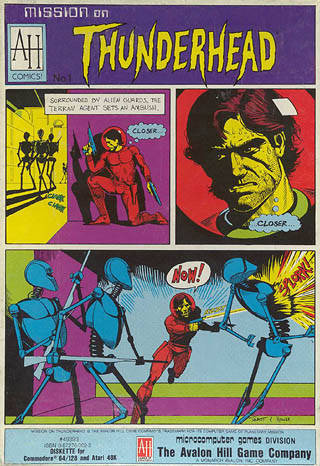 Words & Pictures Ltd would hire freelance artist’s Mark J. Brady and John Smyth to do the bulk of the publisher’s early output. If the game was sci-fi or fantastical, Mark’s Chris Foss inspired SF art would be used, and if the game was comedic or more childish then John’s cartoon art was preferred. A black boarder then surrounded all artworks with ‘Mastertronic’ on the top and ‘M’ logo at the bottom. In addition, covers had a colour-coded triangle in the top right corner stating the games format – a first for the industry. Even through the 199 range proved hugely successful the profit margins were still slight compared to full price titles, and so in response Mastertronic Ltd released a more expensive range M.A.D (Mastertronic. Added. Dimension) retailing at £2.99 for Christmas 1985. 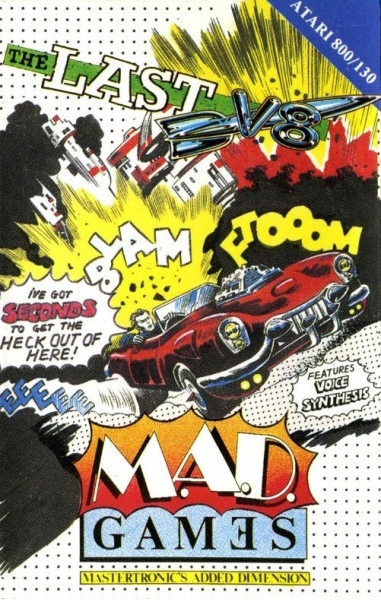 To make this range distinctive from the 199 range cover arts dropped the sci-fi realism and instead adopted a more comic book style of art, featuring large, bold character art on a white dotted background (see, The Last V-8). 1986 saw Mastertronic setup its first overseas operation Mastertronic Inc. in the USA. The ‘M’ logo would be become 3D and artworks were either redesigned or originals used depending on whether the game was first designed in the US or UK. 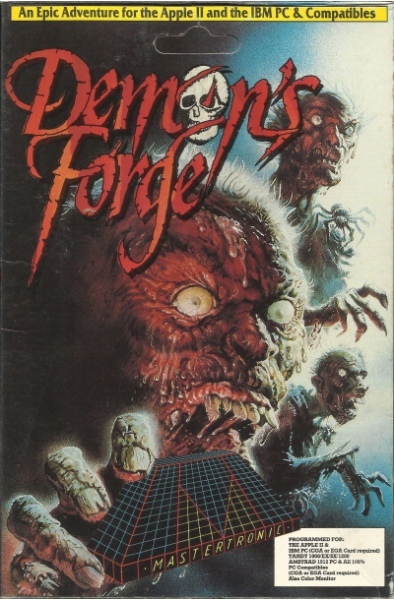 Notably, games Feud and The Demon’s Forge re-commissioned cover arts from video game magazine Crash by esteemed English illustrator Oliver Frey. 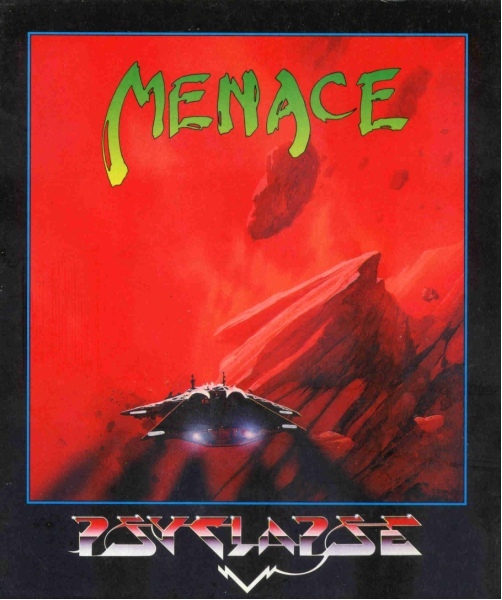 Alongside Mastertronic’s original games the company also become well known for re-releasing other publisher’s older games at budget prices under the UK Ricochet range. 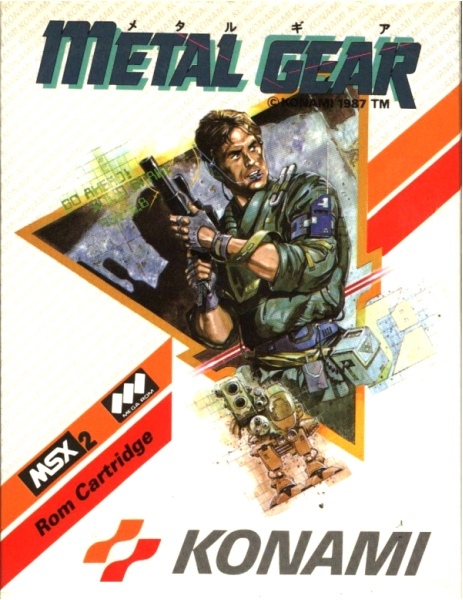 Box arts would always use the games original artwork and be surrounded by a M.A.D styled dotted background. 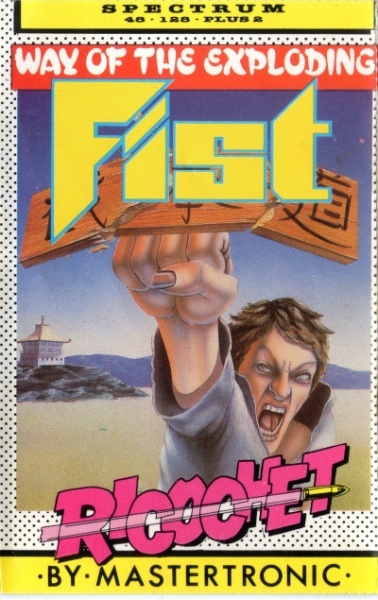 Companies such as Ultimate Play the Game, Melbourne House, Virgin Games and Martech took advantage of Mastertronic’s expertise, with hit titles Way of the Exploding Fist (box art by David John Rowe), Ghost Busters and Aliens getting new leases of life under Ricochet. By the end of 1987 Virgin had acquired 45% of Mastertronic and the company went through many changes towards a complete Virgin take over the following year (Virgins interest was down to the fact that Mastertronic in 1987 had acquired the rights to distribute Sega Master System games in Europe). 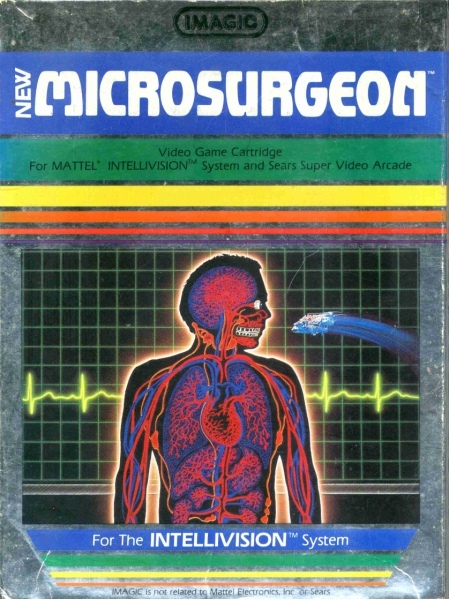 1987 Cover arts had now dropped the original ‘M’ logo and in its place a new Mastertronic type – with small italic ‘i’ – emblazoned across the left side. Artworks throughout this period and when Virgin took over between 1988-1991 were varied and used many artists. The newly coined Virgin Mastertronic label (1988) and the Mastertronic Plus range (replacing M.A.D in 1989) would however concentrate on budget 8-bit titles and re-releases, and their respective cover arts were looking tired and uninspired by the start of the 90’s. For full price titles Virgin dropped the Virgin Mastertronic label, instead using its traditional red Virgin logo (likely not wanting its full price games to be associated with a budget line). 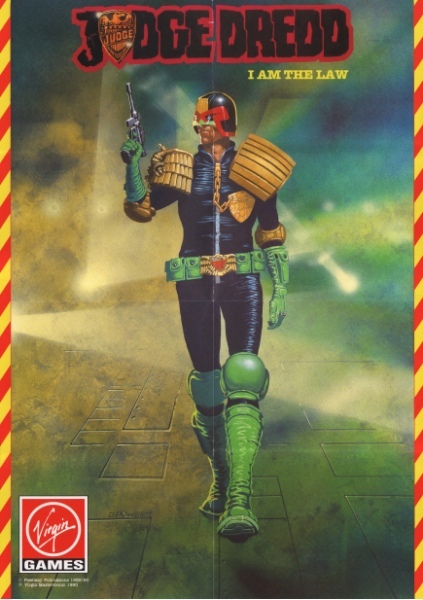 Notably, this period saw comic book artist Dermot Power start in the video game industry, with box arts Wonderland, Golden Axe and Judge Dredd showcasing his talent in Virgins full price line. With it’s budget game range dwindling in place of its full price range Virgin would lay to rest the Mastertronic label in around 1991, selling it to Sega. Effectively, Mastertronic formed the basis of today’s Sega of Europe, and with it came the end of one of Europe’s early pioneering publishers. >Notable and influencial Mastertronic box arts. Alcatraz Harry | Mastertronic | 1984 | by John Smyth. BMX Racers | Mastertronic | 1984 | by Mark J. Bradly. Captain Zapp | Mastertronic | 1987 | by Alex Raymond. 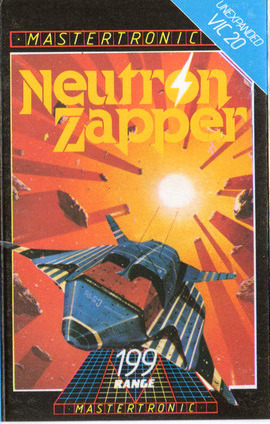 Dark Star | Mastertronic | 1984 | by Mark J. Bradly. Feud | Mastertronic | 1987 | NA ver | by Oliver Frey. Golden Axe | Virgin Games | 1990 | EU home comp ver | by Dermot Power. 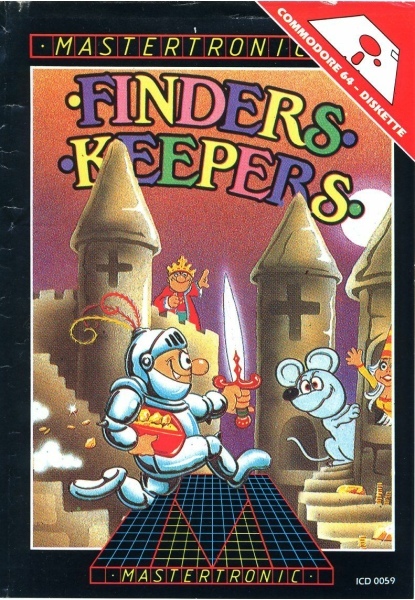 Knight Games | Mastertronic | 1986 | NA ver | by Oliver Frey. Kobyashi Naru | Mastertronic | 1987. Ninja | Mastertronic | 1986. Ninja Warriors | Virgin Games | 1989. Realms | Virgin Games | 1991 | by Dermot Power. Sarakon | Virgin Games | 1991 | by Dermot Power. Spellbound | M.A.D | 1985. Spirit of Excaliber | Virgin Games | 1990 | by Mark J. Ferrari. Spot | Virgin Games | 1990 | EU/ NA ver. Vegas Jackpot | Mastertronic | 1984. Matt Rhodes. North American box artist. Dragon Age: Inquisition | EA | 2014. Mega Drive/ Genesis. Sega hardware from 1988-200?. Sega’s 16 bit power-house would launch at the end of 1988 and would help the company get the foothold in the home video game market that its previous console the Mark III/ Master System had largly failed to do. >Notable and influencial Sega Mega Drive/ Genesis box arts. Aladdin | Sega | 1993 | EU/ NA ver. | by Greg Wray. Alien Storm | Sega | 1991 | JPN ver. | by Yoshiaki Yoneshima. Altered Beast | Sega | 1988 | by Michiaki Satoh. Castlevania: Bloodlines | Konami | 1994 | NA ver | by Tom Dubois. Ecco the Dolphin | Sega | 1992 | EU/ NA ver. | by Boris Vallejo. ESWAT: City Under Siege | Sega | 1990. | by Yuji Kaida. Fatal Rewind | Psygnosis | 1991. | by Roger Dean. Golden Axe | Sega | 1989 | EU/ JPN ver. | by Yoshiaki Yoneshima. Golden Axe II | Sega | 1991 | EU/ NA ver. | by Boris Vallejo. Gunstar Heroes | Sega | 1993 | JPN ver. | by HAN. Hardball! | Accolade | 1991 | by Julie Bell. Hybrid Front, The | Sega | 1994 | by Jun Suemi. John Madden Football | Electronic Arts | 1990 | EU ver. | by David John Rowe. Mickey Mania | Sega | 1991 | EU/ NA ver. | by Greg Wray. Shadow Dancer | Sega | 1990 | JPN ver. | by Jun Satoh. Sonic the Hedgehog | Sega | 1991 | NA Genesis ver. | by Greg Wray. Sonic the Hedgehog | Sega Enterprise Ltd. | 1991 | JPN ver. | By Akira Watanabe. Sonic the Hedgehog 2 | Sega | 1992 | EU/ NA ver | Mega Drive/ Genesis ver. | by Greg Martin. Street Fighter II: Special Champion Edition | Capcom | 1993 | EU/ JPN ver. | by Shoei. Street Fighter II: Special Championship Edition | Capcom | 1993 | NA ver. | by Mick McGinty. Streets of Rage | Sega | 1991 | EU/ NA ver. | By Greg Winters. Strider II: Strider Returns | U.S.Gold | 1992 | Mega Drive ver. | by Julie Bell. Super Aquatic Games, The | Electronic Arts | 1992. | by David John Rowe. Super Thunderblade | Sega | 1988. | by Yoshiaki yoneshima. Vermilion | Sega | 1989 | by Hiroaki Shioya. Melvyn Grant. English box artist from 1988-1990. The famed Sci-fi and fantasy painter who is probably best known for his Iron Maiden cover arts, would have his work reused as box art under Psygnosis’ sister publisher Psyclapse. All four known box arts were originally commissioned elsewhere, and other than Baal were cover arts for novels. Melvyn’s style of art would add a somewhat dark-fantasy look to Psygnosis’ box art catalogue and would sit comfortably alongside the likes of Dean and Jones’ artworks. All four covers were painted in oils on canvas. Anarchy | Psyclapse | 1990. Baal | Psyclapse | 1988. Ballistix | Psyclapse | 1989. Captain Fizz Meets the Blaster-Trons | Psyclapse | 1988. Metal Gear. Konami video game series from 1987-2016. 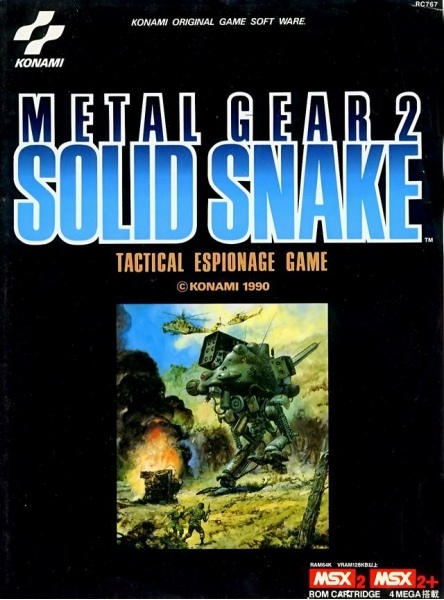 Metal Gear | Konami | 1987. Metal Gear Ac!d | Konami | 2004 | JPN ver | by Tsubasa Masao. Metal Gear Ac!d | Konami | 2005 | EU/ NA ver | by Tsubasa Masao. Metal Gear Ac!d 2 | Konami | 2005 | JPN/ NA ver | by Tsubasa Masao. Metal Gear Rising: Revengeance | Konami | 2013 | JPN ver. Metal Gear Rising: Revengeance | Konami | 2013 | EU/ NA ver. Metal Gear Rising: Revengeance - Special Edition | Konami | 2013 | by Yoji Shinkawa. 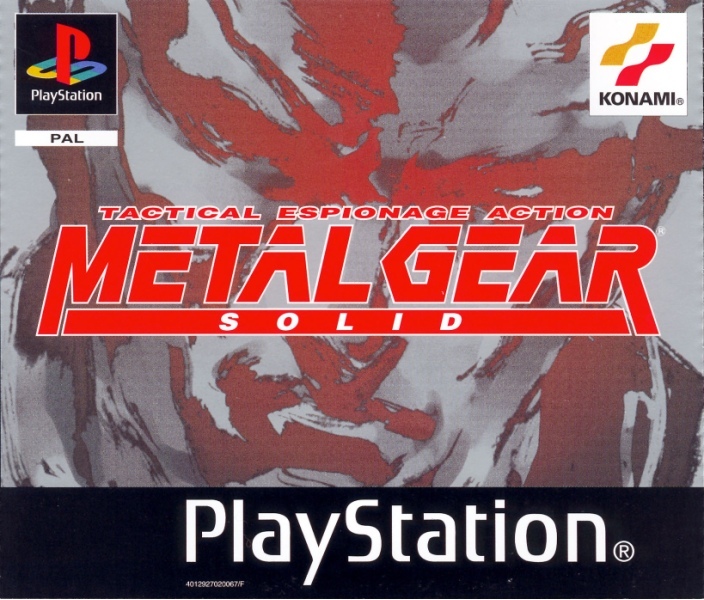 Metal Gear Solid | Konami | 1998 | JPN/ NA ver | PS1 ver. Metal Gear Solid | Konami | 1999 | EU ver | PS1 ver | by Yoji Shinkawa. 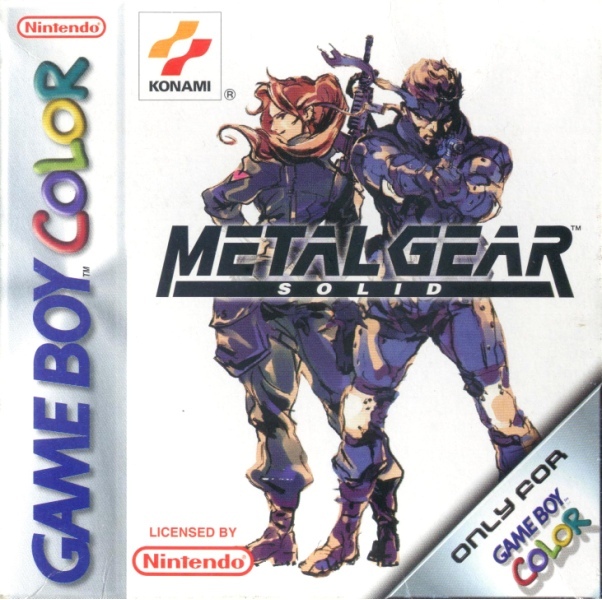 Metal Gear Solid | Konami | 2000 | NA Game Boy Color ver | by Yoji Shinkawa. Metal Gear Solid: Peace Walker | Konami | 2010 | JPN ver. Metal Gear Solid: Peace Walker | Konami | 2010 | EU/ NA ver. Metal Gear Solid: Portable Ops | Konami | 2006 | JPN ver. Metal Gear Solid: Portable Ops | Konami | 2006 | NA ver. Metal Gear Solid: Portable Ops | Konami | 2007 | EU ver. Metal Gear Solid: Portable Ops Plus | Konami | 2007. Metal Gear Solid: Snake Eater 3D | Konami | 2012 | JPN ver. Metal Gear Solid: Snake Eater 3D | Konami | 2012 | EU/ NA ver. Metal Gear Solid: The Twin Snakes | Konami | 2004 | NA ver. 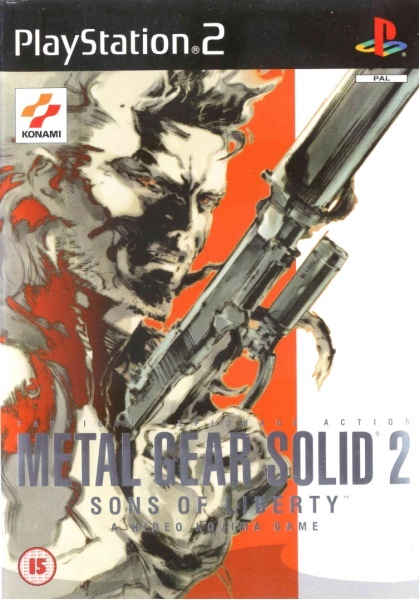 Metal Gear Solid 2: Sons of Liberty | Konami | 2001 | JPN ver | by Yoji Shinkawa. Metal Gear Solid 2: Substance | Konami | 2002 | EU ver | by Yoji Shinkawa. Metal Gear Solid 2: Substance | Konami | 2002 | NA ver | by Yoji Shinkawa. Metal Gear Solid 3: Snake Eater | Konami | 2004 | JPN ver | by Yoji Shinkawa. Metal Gear Solid 3: Snake Eater | Konami | 2004 | NA ver | by Yoji Shinkawa. Metal Gear Solid 3: Snake Eater | Konami | 2005 | EU ver | by Yoji Shinkawa. Metal Gear Solid 3: Subsistance | Konami | 2005 | by Yoji Shinkawa. Metal Gear Solid 4: Guns of the Patriots | Konami | 2008 | JPN/ NA ver. Metal Gear Solid 4: Guns of the Patriots | Konami | 2008 | EU ver | by Yoji Shinkawa. Metal Gear Solid 4: Guns of the Patriots - Special Edition | Konami | 2008 | by Yoji Shinkawa. Metal Gear Solid V: Ground Zeros | Konami | 2014 | JPN ver | by Takeya Inguchi. Metal Gear Solid V: Ground Zeros (| Konami | 2014 | EU/ NA ver | by Takeya Inguchi. Metal Gear Solid V: The Definitive Experience | Konami | 2016 | JPN ver | by Takeya Inguchi. Metal Gear Solid V: The Phantom Pain | Konami | 2015 | by Takeya Inguchi. Michael Hellmich. German box artist from 1990-1994. Atomix | Thalion Software | 1990. Backgammon | Magic Soft | 1990. Bundesliga Manager Professional | Software 2000 | 1991. Charly | Magic Soft | 1991. Cubulus | Software 2000 | 1991. Death of Glory: Das Erbe von Morgan | Software 2000 | 1994. Die Kathedrale | Software 2000 | 1991. Encharted Land | Thalion Software | 1990. Ghost Battle | Thalion Software | 1991. Hexuma: Das Auge des Cal | Software 2000 | 1992. Jonathan | Software 2000 | 1993. Kengi | Software 2000 | 1991. Manager, The | Software 2000 | 1992. O.B.Y.1 | Magic Soft | 1991. Prehistoric Tale, A | Thalion Software | 1990. Shiftrix | Software 2000 | 1991. Think Twice | Magic Soft | 1991. Tower Fra | Thalion Software | 1990. Wild West World | Software 2000 | 1990. Michael J. Winterbauer. North American box artist from 1989-1994. Double Strike | American Video Entertainment | 1990. Keys to Maramon, The | Mindcraft Software | 1990. 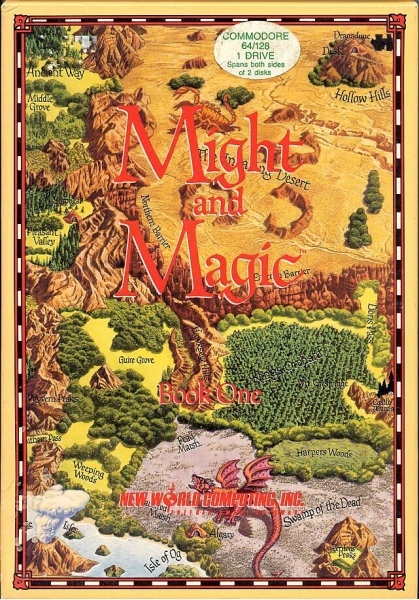 Might and Magic: Clouds of Xeen and map | New World Computing | 1992. 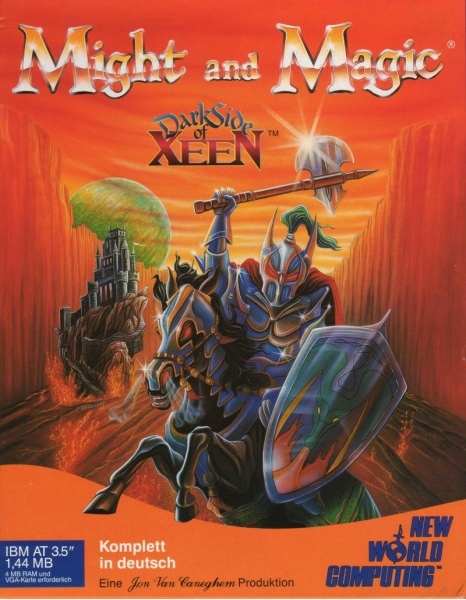 Might and Magic: Dark Side of Xeen | New World Computing Inc. | 1993. Ninja Taro | American Sammy | 1992. Origamo | QQP | 1994. Power Blade | Taito | 1991. Solstice: The Quest for the Staff of Demnos | CSG Imagesoft | 1990. Spaceward Ho! | New World Computing | 1992. Trouble Shooter | Vic Tokai | 1991 | NA ver. War Eagles | Cosmi Corp | 1989. Wing Commander | Mindscape | 1992 | SNES ver. WolfChild | JVC Musical Industries | 1992 | NA Sega CD ver. Michael O. Haire. North American box artist from 1981-1983. Dunzhin | Med Systems Software | 1982. Kaiv | Screenplay | 1983. Institute, The | Med Systems Software | 1981. Wylde, The | Screenplay | 1983. Ziggurat | Screenplay | 1982. Michiaki Satoh. Japanese box artist in 1988. Altered Beast | Sega | 1988. Mick McGinty. North American box artist from 1991-2008. 3-D Ultra lionel Train Town Deluxe | Sierra On-Line | 2000. 3-D Ultra Pinball: Thrillride | Sierra On-Line | 2000. Final Fight | Capcom | 1991 | EU/ NA ver. Final Fight II | Capcom | 1991 | EU/ NA ver. Monster Bass | Magical Company Ltd | 2000. Street Fighter II: Special Championship Edition | Capcom | 1993 | EU/ NA ver. Street Fighter II: The World Warriors | Capcom | 1992 | EU/ NA ver. Street Fighter II Turbo | Capcom | 1993 | EU/ NA ver. Super Street Fighter II | Capcom | 1994 | EU/ NA ver. Streets of Rage II | Sega | 1991 | EU/ NA ver. Return of the Incredible Machine: Contraptions | Sierra On-Line | 2000. Zoo Tycoon | Microsoft | 2001. Zoo Tycoon 2: Endangered Species | Microsoft | 2005. Zoo Tycoon 2: Ultimate Collection | Microsoft | 2008. Might and Magic. Video game series from 1984-2014. Might and Magic | American Sammy Corp | 1992 | NES ver. Might and Magic | NEC Avenue | 1992 | PC Engine CD ver. | by Akihiro Yamada. Might and Magic II: Gates to Another World | New World Computing | 1988 | by Jim Krogel. Might and Magic III | FCI | 1995 | NA SNES ver. Might and Magic III | Hudson Soft | 1993 | PC Engine CD ver | by Akihiro Yamada. 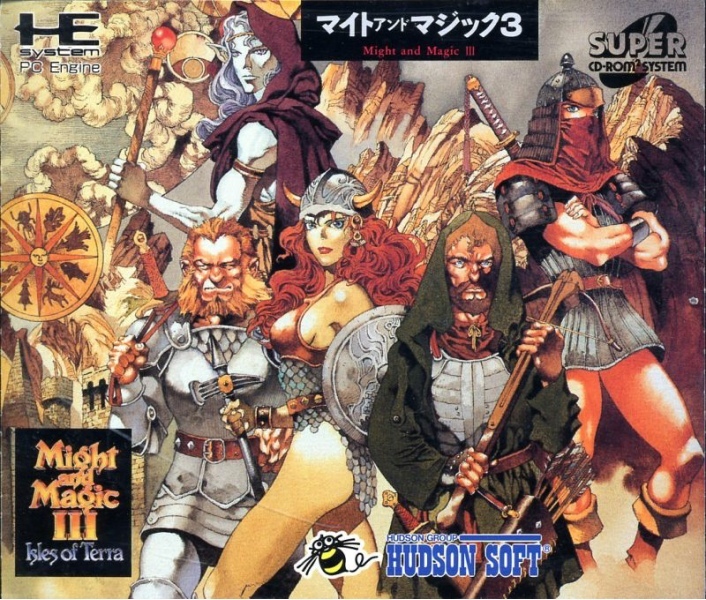 Might and Magic III | Hudson Soft | 1993 | Turbografx CD ver. Might and Magic III | Starcraft Inc | 1992 | PC-98 ver. Might and Magic III: Isles of Terra | New World Computing | 1991 | Amiga ver. 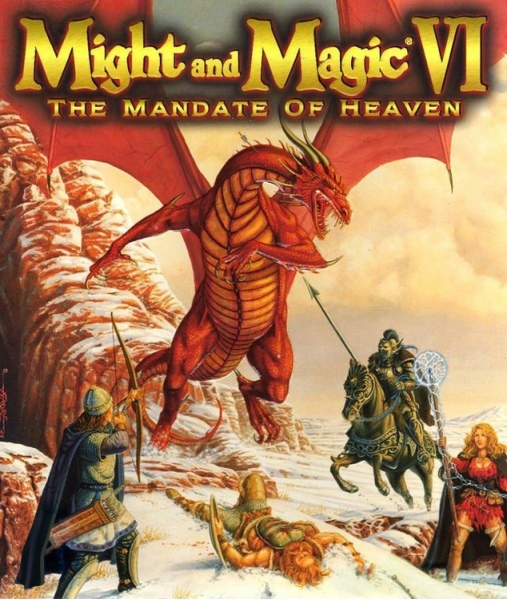 Might and Magic VI: The Mandate of Heaven | The 3DO Company | 1998 | by Larry Elmore. Might and Magic VIII | Imagineer Co | 2001 | JPN PS2 ver. Might and Magic IX | The 3DO Company | 2002. Might & Magic X: Legacy (Deluxe Edition) | Ubisoft Entertainment | 2014. Might and Magic Book One | Gakken Co | 1990 | Famicom ver. Might and Magic Book II | LOZ/G Amusements | 1993 | Super Famicom ver. | by Akira Komeda. Might and Magic: Clouds of Xeen | New World Computing | DOS ver. | by Michael J. Winterbauer. Might and Magic: Clouds of Xeen | Starcraft | 1993 | FM Towns ver. Might and Magic: Darkside of Xeen | Starcraft | 1993 | FM Towns ver. Might and Magic: World of Xeen | New World Computing | 1994. Mike Bryan. North American box artist in 1988. Robocop | Data East USA | 1988. Mike Koelsch. North American box artist from 1994-2000. 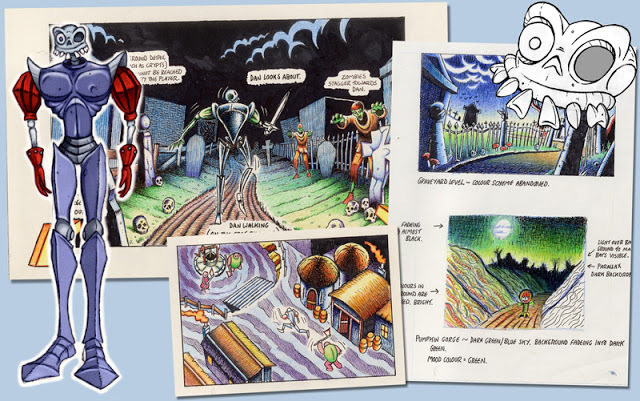 Earthworm Jim | Playmates Interactive Entertainment | 1994. Earthworm Jim 2 | Playmates Interactive Entertainment | 1995. Earthworm Jim: Special Edition | Interplay | 1995 | Windows ver. Earthworm Jim: Special Edition | Interplay | 1995 | Sega CD ver. Escape from Monkey Island | LucasArts Entertainment | 2000. Timon and Pumbaa’s Jungle Games | Disney Interactive | 1995. 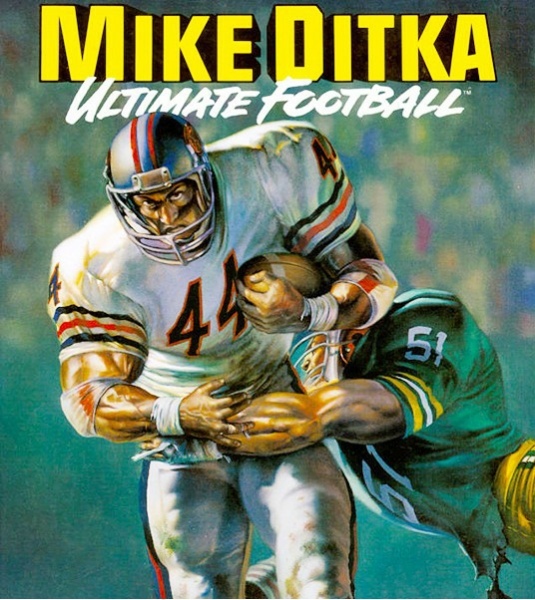 Mike Ditka’s Ultimate Football by Boris Vallejo. Peruvian/ North American artwork. Published by Accolade in 1991 for the North American market. Genesis ver. pictured. Also available on: DOS.